Joseph McCarthy had a list of ~134 ranking government officials with ties to the Communist Party, an organization determined to bring down the United States. He kept the list secret to protect them - innocent until proven guilty was the standard back then. 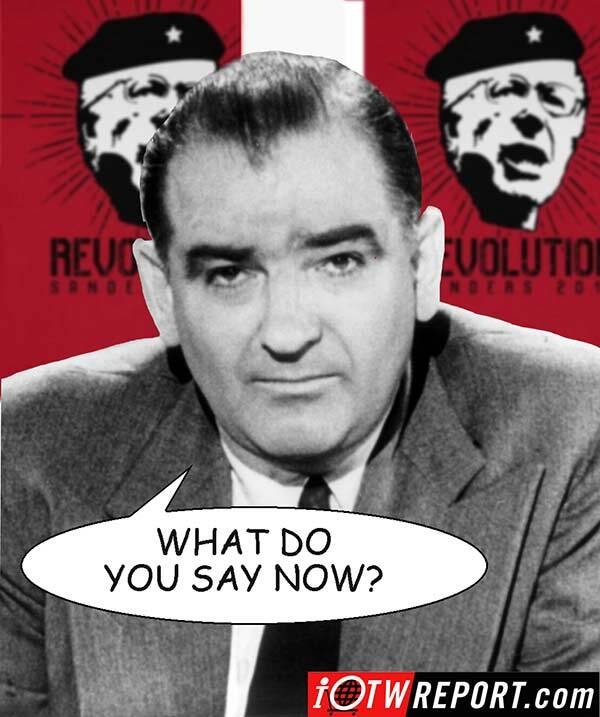 The Communists in America - led by the old media - overwhelmed his red-hunt. Truman didn't help by ignoring McCarthy's warnings despite the FBI's acknowledgement that they too had many of those people on their list too. 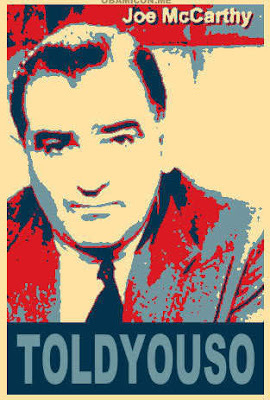 The only criticism of McCarthy that had any basis in fact was that the number on his list changed. He would remove people from the list when his investigators, with the help of the FBI, had found them innocent of the charge. And he'd add new names as evidence warranted. If only he had kept the number on the list secret and stuck with the core message that Communists had indeed infiltrated the highest offices in the United States government. If only. Want to take a guess for which party each person on McCarthy's list voted? Today, McCarthy would still have a list of 134. The 134 government officials who do NOT have Communist inspirations. How times change. McCarthy, unfortunately, has passed away. The slander he suffered deters others from standing up to do the right thing. 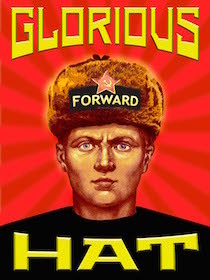 The closest thing to a McCarthy list is Ushanka.us. Recommended reading: Blacklisted by History. The second image above, and the inspiration for this post, is from IOTW - the leaders in right-wing imagery. Let's get the list of the 138,716 New Hampshire Primary voters who voted for the US presidential candidate who is closer on the ideological spectrum to Hitler and Stalin than any previous candidate in the history of the United States. Even more so than Obama. A: The maximum number of rows possible in a Microsoft Excel 2013 spreadsheet. Conclusion: We either start making lists now, or soon the number of commies will outpace technology. When I was a young boy, I never thought North Vietnam communists would ever take over the south. Today, I'm watching young Americans attempting to elect a communist. Getting old has its pros and cons. One pro is perspective. Studing history (see the Ushanka Library along the left side) develops a keen sensitivity and perception on cycles. Business cycles, like the dot-com bust, subprime and banking crashes, and the current equity bubble, are all seen from the 30,000 foot level now. And political cycles are the same. 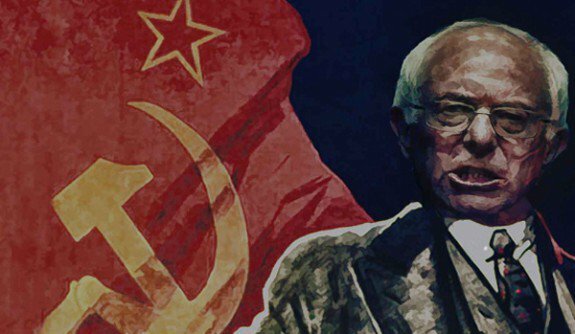 If nobody is around to warn of the horrors of Democratic Socialism, and few are willing to crack a book to learn, then an environment of envy and anger can provide the foundation for an era of soft tyranny that we see ourselves entering today. It is laughable that the Dems are grasping for Biden and Bloomberg now. That has a lot to do with the DNCe and a lot less to do with a revulsion to communism. Another cycle to consider: war. Nearly every generation gives it a try, yet in the total-war sense, it has been a few generations now.
. . . the Democratic Party has been taken over by far left progressives who are finally comfortable identifying as socialists. There is that symbol again. . . I ask you, is Hillary Clinton any less a socialist = Marxist = Communist because she hasn't declared herself as such ? For me, she, along with many others we call fellow citizens, are no less than my enemies.